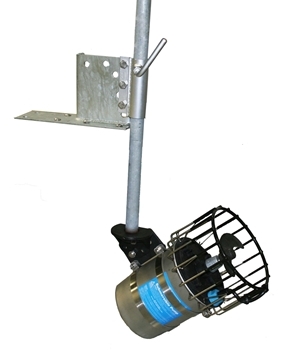 The Industrial option still allows for 360 degree operation, adjustment angling, and the ability to raise and lower the unit in the water column. Due to its stronger design, it also allows for the option of longer than a 10ft pipe for deeper applications. 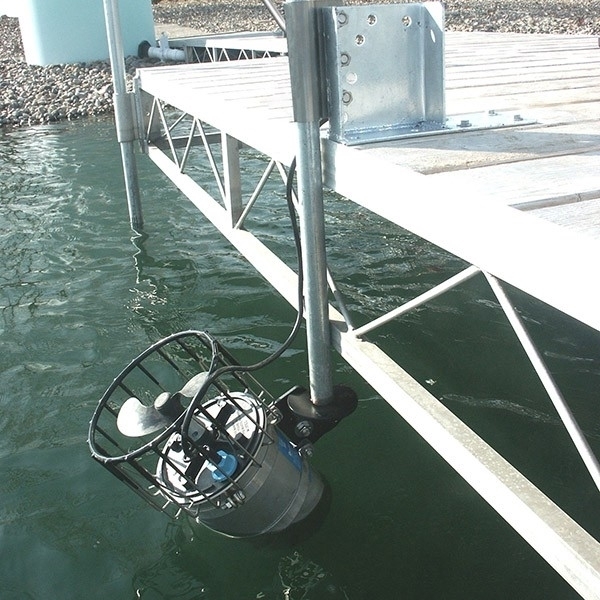 The Industrial Dock Mount is ideal for the rigors of industrial or manufacturing processes such as oil fracking and dredging barges, security barriers, hydroelectric power generation, dams and locks, and lift gates. Mount only Aerator sold separate.